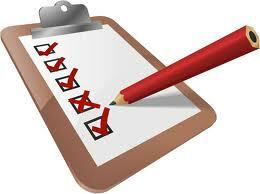 There is no obligation to use Folgate Safety for any remedial changes or repairs as a result of the audit. Confused by the laws & regulations? As part of the free fire safety audit, we help explain these to you, in simple, jargon free terms, answering any queries you may have. We are looking to improve the fire safety of our local community and offer the fire safety audit free of charge to businesses within 20 miles of our premises in NN14, Northamptonshire. If you are outside of this area we charge 20p / mile to cover our costs of fuel. The responsible person for the budget and decisions of fire safety matters must be present on the premises throughout to answer questions we may have. You will receive a basic report. Verbal information and observations will be shared at the time. Any recommendations made are in good faith and without liability to Folgate Safety Limited. The audit will last no more than 60 minutes. This audit does not constitute a fire risk assessment. Please contact us for more information and full terms & conditions or fill out our online form.